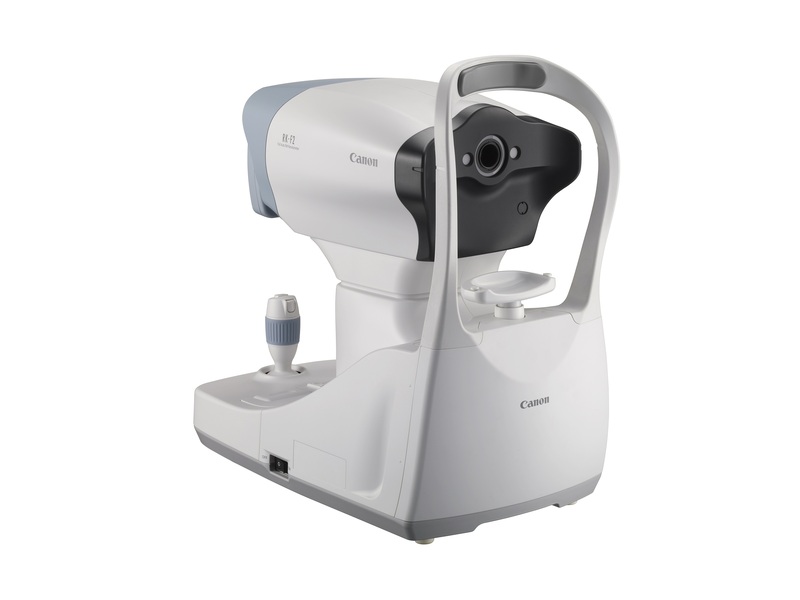 The Canon CR-2 PLUS AF Digital Non-Mydriatic Retinal Camera provides Color and Fundus Autofluorescence (FAF) imaging within a small compact design. 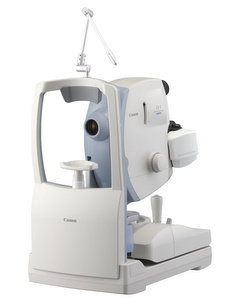 Features include Auto-Fundus, Auto-Focus, Auto-Capture and Image Error Detection. Geographic Atrophy, Macular Degeneration, Glaucoma, Diabetic Retinopathy and other conditions that can affect vision may also be identified and monitored using FAF mode. Using invisible infrared alignment light, the digital non-mydriatic camera may image patients with pupils as small as 3.3 mm (small pupil mode) without dilation drops. This is especially useful when performing retinal screenings or expediting routine retinal imaging exams during office visits. 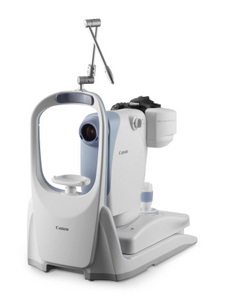 High quality diagnostic images are obtained using a dedicated camera for the CR-2 PLUS AF which incorporates a large, high-definition CMOS sensor with 20 megapixels. The LCD may be adjusted to a variety of titled angles to suit the user's point of view, an auxilliary monitor may be added. Fundus Autofluorescence (FAF) helps monitor macular waste (e.g. lipofuscin) which can accumulate in the Retinal Pigment Epithelial (RPE) layer. The accumulation of macular waste can cause conditions such as Age-Related Macular Degeneration (AMD) which can lead to reduced vision. The FAF mode may be selected by pressing only one button. Automatically focuses the eye when the joystick is partially pressed. Allows automatic switching from the external eye to retinal obeservation mode. Automatically captures the image when the eye is properly focused. 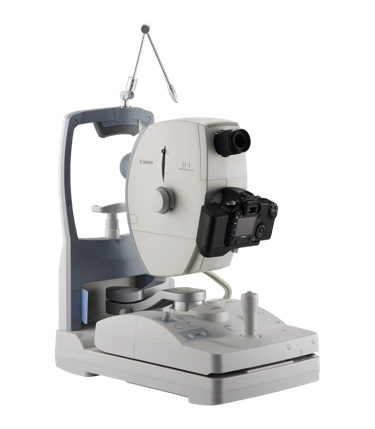 The CR-2 PLUS AF measures the volume of infrared light from the retina and automatically adjusts the flash intensity for observation and photography. This feature may be set to ON/OFF and can be adjusted using the operation panel. The low flash intensity of the CR-2 PLUS AF minimizes miosis, thus shortening the time required for taking multiple view exams or stereo images. The reduced brightness improves patient comfort and reduces the "ghost" image the patient sees after an exposure. A wide range of low ISO speeds are supported including ISO 200, 400, 800, 1600, 3200 and 6400. Red-Free and Cobalt digital filters are included and provide enhanced screening exams. Red-Free is used for evaluating the Retinal Nerve Fiber Layer (RNFL) and vascular structure of the retina associated with documenting Glaucoma, Diabetic Retinopathy or Hypertension. The Cobalt filter is also used for evaluating the RNFL, as well as Optic Disc and Optic Disc Drusen. Additionally, Green (Vascular view) and Red channel (Choroid view) digital filter views are also included. The simplified design of the control panel can be easily handled by an examiner. Manual alignment override allows easy switching to manual focusing on demand. The one-handed joystick may be used to position the camera to acquire the desired image. In darkly lit rooms, the operation panel illuminates for easier navigation. The small design of the CR-2 PLUS AF facilitates portability when needed using an optional hard shell transport case sold separately. The space saving design also allows for use in limited office space environments. 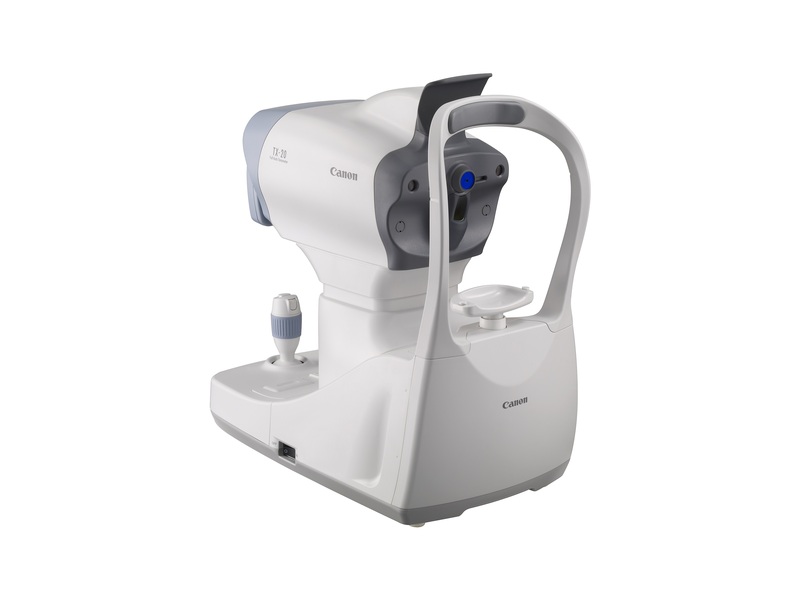 The Canon TX-20 Full Auto Tonometer easily measures Intraocular Pressure (IOP) allowing doctors to perform simple eye exams efficiently while enhancing patient comfort with a soft air puff. This test is important in evaluating ocular conditions that affect the pressure inside of an eye, such as Glaucoma. Whenever high IOP is detected, a warning message is displayed. The operator can enter any threshold value on the unit’s settings screen to activate the warning system for that value. The TX-20 Tonometer is compact and lightweight at approximately 33 pounds, making it easy to transport and install.